ALBERT ''AL'' D. BLAKEMAN SR NEW SPRINGFIELD – The Shepherd has called home another member of His flock. 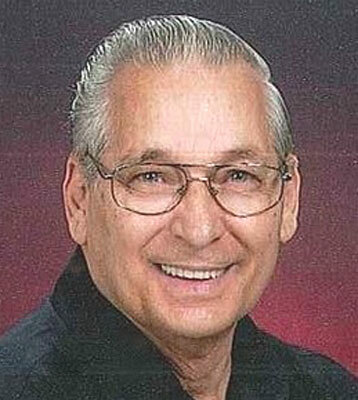 Albert “Al” D. Blakeman Sr., 72, left this world for everlasting life on Wednesday, Dec. 5, 2012. Albert was born on Aug. 31, 1940, to Carl and Delta (Salyers) in Pike County. Growing up in a large and talented family, Albert developed a deep love for Country and Christian music. He played the bass and lead guitars, as well as the organ and would often entertain his family after Sunday services. On Oct. 24, 1960, he married his first wife, Leah (Hamm). They spent 33 years together and raised three children. He was blessed to find love a second time and married Ellen (Hayton) on Aug. 13, 1994. A devout Christian, Albert was a member of the Zion Hill Church of the Brethren. He was generous, selfless, and loved by everyone. People often commented on his beautiful blue eyes and infectious smile. He loved spending time with his family and friends. He enjoyed sharing a good life’s story, especially how the Lord worked in his life. In addition to his loving wife, Ellen, Albert is survived by his children, Albert Jr. (Nancy) Blakeman of Granger, Ind., Rebecca Blakeman of North Carolina, Patrick (Erin) Blakeman of Boardman, Darlene (John) Patton of Boardman, and Donna (Frank) Lonardo of Boardman; his grandchildren, Jarod Blakeman, Autumn Blakeman, Kristopher Dean, Leah Blakeman, Lindy Patton, Raymond Lonardo, and Maria Lonardo; and his great-grandchildren, Akira and Zoe Ortiz. He is also survived by brothers, Carl Jr. (Palma) Blakeman of Columbiana and Bob (Ulah) Blakeman of North Lima; sisters, Darlene (Gordon) Vaughn of Salem, Betty (George) Welker of Columbiana, Dee (Mike) Brown of Columbiana, and Rachel Blakeman; as well as numerous nieces and nephews. Albert was preceded in death by his parents, Carl and Delta Blakeman; first wife, Leah; a baby daughter, Renee Blakeman; and his brothers, Shelby (Ruth) and John (Sue) Blakeman. A viewing will be held today, Dec. 7, 2012, from 5 to 8 p.m. at the Clemente Funeral Home in New Middletown. Services will be held at 11 a.m. Saturday, Dec. 8, 2012, at the Clemente Funeral Home in New Middletown.